Zao Wou-Ki (Zao, de son nom, Wou-Ki ou Wou-ki de son prénom et pinyin : Zhào Wújí), né le 1er février 1920, ou bien le 13 février 1921 à Pékin, est un peintre chinois naturalisé français en 1964. Son œuvre est vaste. Elle comprend les peintures réalistes de ses premiers tableaux qui sont surtout des portraits, quelques natures mortes et des paysages (1935-1949), ainsi que des huiles sur toiles de grands formats inspirées de Paul Klee qui tendent vers l’abstraction à partir des années 1950, puis l’abstraction lyrique dans les années 1960, des encres de chine, des calligraphies. Très vite apprécié en Occident, ami de Pierre Soulages, de Joan Miró, de Henri Michaux, il est reconnu par son propre pays vers 1983. À cette date, il est accueilli à Pékin où ses œuvres sont exposées au Musée national de Chine. La France lui a rendu hommage à plusieurs reprises. Il a été nommé grand Officier de la Légion d’honneur, commandeur de l’Ordre National du Mérite, officier des Arts et des lettres. 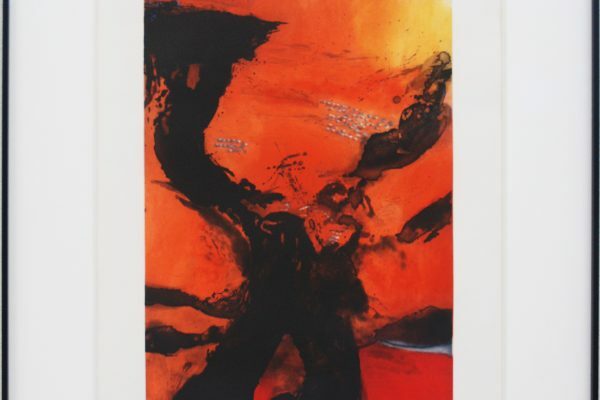 Zao Wou-Ki (pinyin: Zhào Wújí; Wade-Giles: Chao Wu-chi; 13 February 1920 – 9 April 2013) was a Chinese-French painter. He was a member of the Académie des Beaux-Arts in Paris. Zao was born in Beijing with family roots in Dantu, Zhenjiang, Jiangsu province. In his childhood he was brought back to his hometown Dantu where he studied calligraphy. From 1935 to 1941, he studied painting at the China Academy of Art in Hangzhou, Zhejiang province. In 1948, he went with his wife Lan-lan, a composer, to Paris to live on the same block in Montparnasse where the classes of Émile Othon Friesz took place. 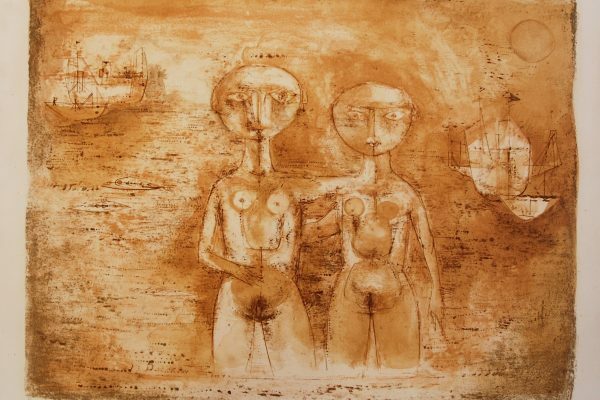 His earliest exhibitions in France were met with praise from Joan Miró and Picasso. Zao and his wife pursued their own careers, their son having stayed in China with his Zao’s parents. In the mid-1950s, they were divorced. In 1957, Zao decided to visit the United States where his younger brother Chao Wu-Wai was living in Monclair, New Jersey, close to the art scene of New York City. He wanted to learn more about “pop art”. While in the US, he painted seven canvases at his brother’s house. There are relatively few items dating from that year (1957). Years later, the largest canvas was given by his brother, Chao Wu-Wai, to the Detroit Institute of Arts. He left the U.S. after a six-week stay, traveling to Tokyo and then to Hong Kong, where he met his second wife Chan May-Kan (May Zao), a film actress who with two children from her first marriage. Under the influence of Zao, she became a successful sculptor. In 1972, she committed suicide at age 41 due to mental illness. Zao’s works, influenced by Paul Klee, are orientated to abstraction. He names them with the date in which he finishes them, and in them, masses of colours appear to materialise a creating world, like a big bang, where light structures the canvas. He worked formats in triptychs and diptychs. While his work was stylistically similar to the Abstract Expressionists whom he met while travelling in New York, he was influenced by Impressionism. 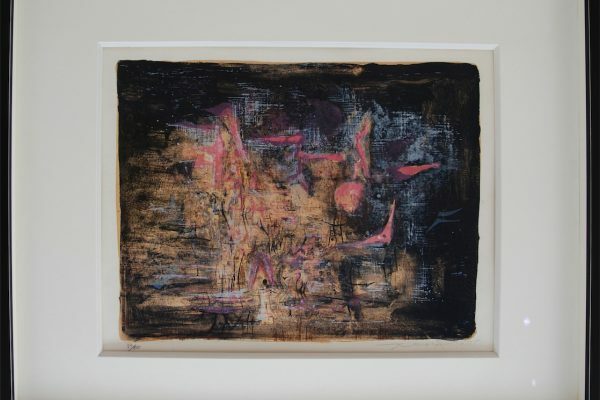 Zao Wou-ki stated that he had been influenced by the works of Matisse, Picasso and Cézanne. His meetings with Henri Michaux pushed him to review his Indian ink techniques, always based in Chinese traditional drawings. Zao was a member of the Académie des beaux-arts, and was considered to have been one of the most successful Chinese painters during his lifetime. His auction record of RMB 89,680,000 (US$14,718,771) was set at Sotheby’s, Beijing, on 1 December 2013. Former French President Jacques Chirac was offered a painting by Zao Wu Ki by his ministers during their last meeting. By the end of his life Zao had stopped producing new paintings due to health problems. He died on 9 April 2013 at his home in Switzerland.